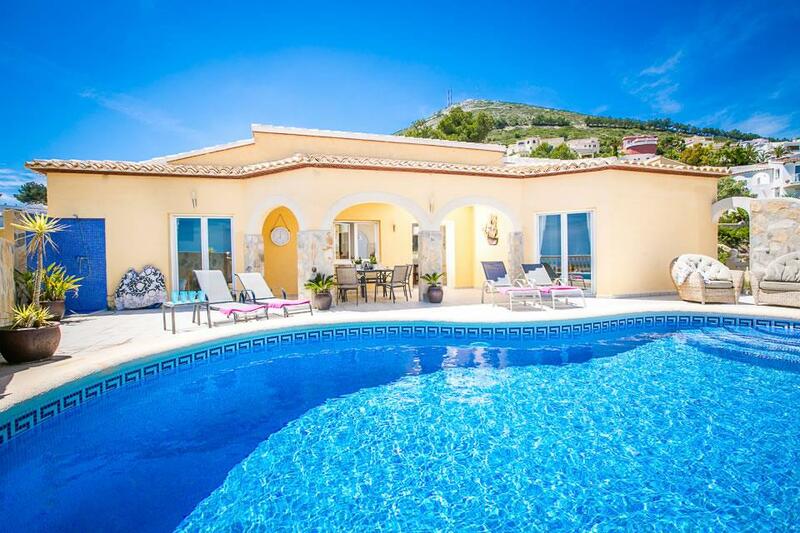 Villa Alicia is situated in a quiet residential area in the Benimeit hills of Moraira overlooking the entire area below with truly impressive sea views as well as a birds eye view of the valley, the town centre and the port.The accommodation is of a high standard and includes electric shutters to all windows, electronic entry gates, air conditioning, wifi and UK satellite TV. The amazing views can be enjoyed from most of the rooms inside the house as well as the terraces and pool area. An electric gate leads onto the sloped private driveway with room for two vehicles. The main entrance door is situated at the bottom of the drive and leads into a large entrance hallway and the upper floor of the villa. On this level are three bedrooms. The large master bedroom has a king size bed, a dressing area and bathroom with bath with shower over, WC and dual wash hand basins in a vanity unit. The further two spacious bedrooms each have twin single beds and share a second bathroom with bath with shower over, WC and wash hand basin. All bedrooms have electric blinds, built in wardrobes, mosquito nets and air conditioning. There is a large terrace on this level that can be accessed from the hall and master bedroom offering superb sea views. A marble staircase leads down to a spacious lounge/dining room with flat screen television, DVD player and UK satellite channels. A Toscan stone arch leads onto the dining area with attractive antique style table and chairs. The lounge/dining room is also air conditioned if required. Wide patio doors lead from the living area out to the spacious terraces and pool. A downstairs bathroom with walk in shower, WC and wash hand basin is ideal for a quick shower before and after a swim. The large modern kitchen has a range of eye and base level units and includes a dishwasher, integrated oven and hob and fridge/freezer. There is a small table with chairs and a utility area with the washing machine. There is a separate door between the kitchen and dining area that leads to the outside terrace with fantastic sea views. The pool terraces include a large shaded area with dining table. It is surrounded by stone balustrades and overlooks tiered gardens. The private pool measures 8 meters x 4 meters and has roman style steps at the shallow end. Ample sunbeds, outdoor dining furniture and a charcoal BBQ are provided. 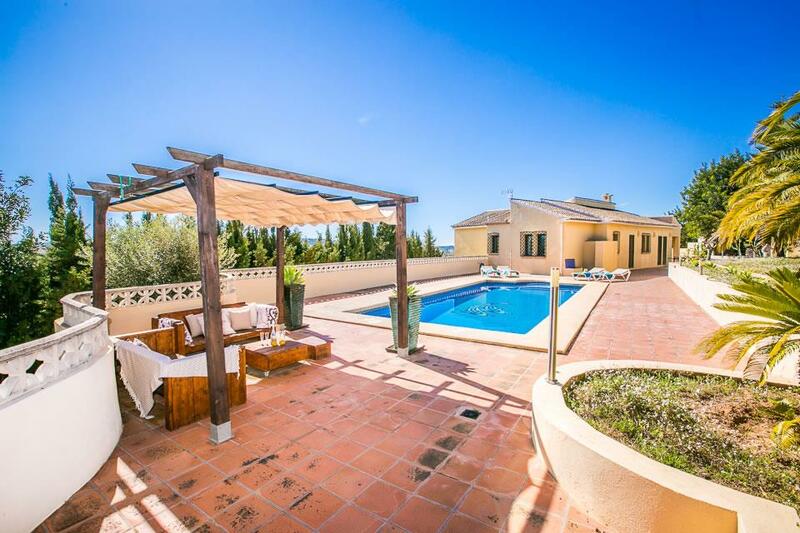 Villa Alicia is a very comfortable and well-presented villa with extra ordinary sea views making it the ideal holiday getaway. Lovely Villa, Fantastic Views, but to have these views you need to be high up, so a car is a must, it's not walking distance to town. 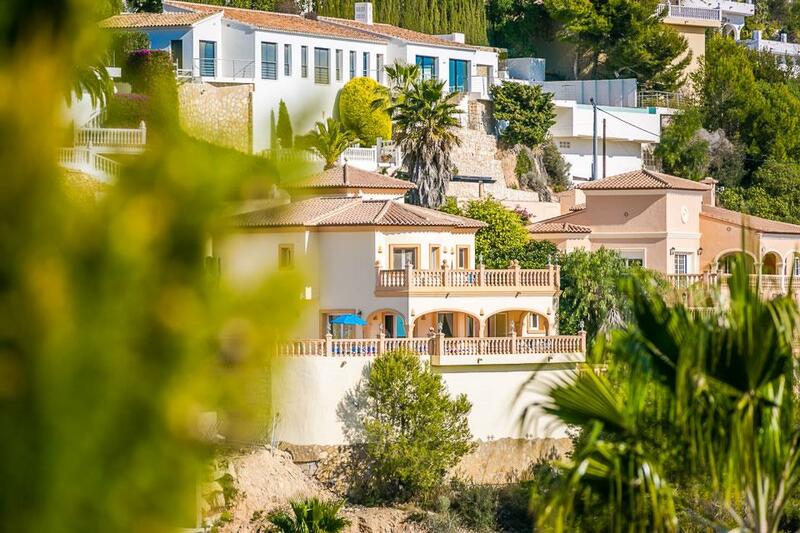 We really enjoyed the views from the villa and Moraira is a great resort. Directvillas responded quickly to rectify a problem with the pool lights. We would have liked a bigger outside table! 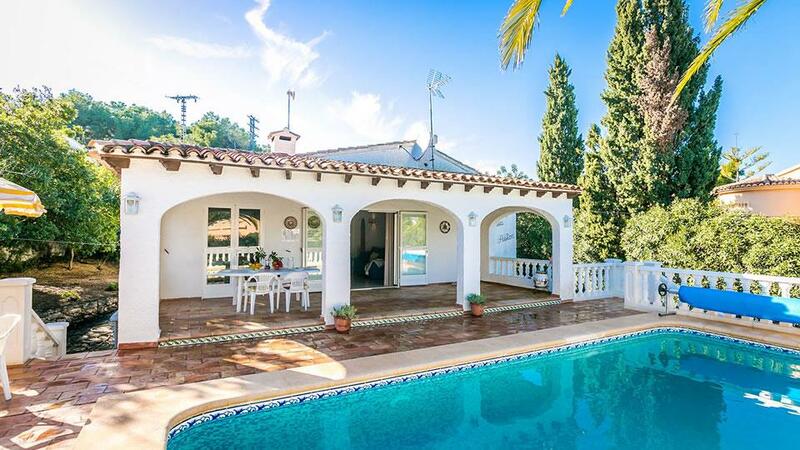 Beautiful Villa and stunning views. 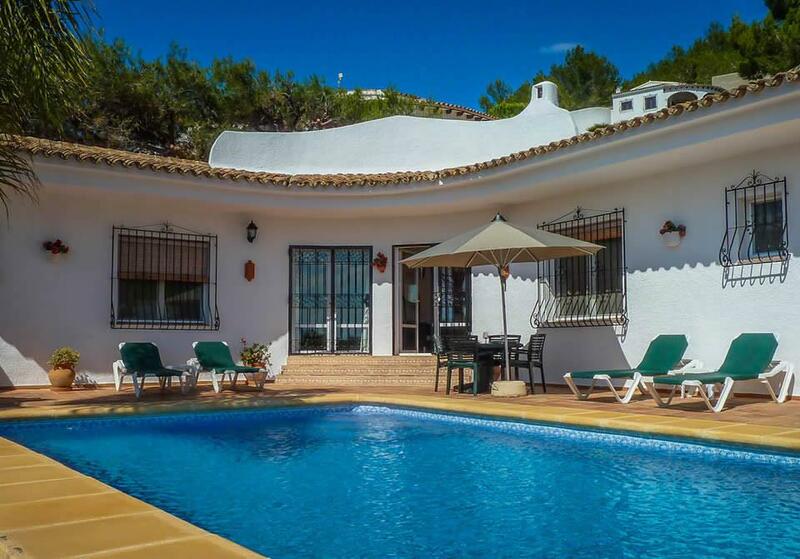 A lovely spacious villa with superb views, worth the long steep drive. We particularly appreciated the insect screens and electric external blinds which meant we could have windows open at night. A very relaxed and comfortable experience. The house and the view where great and maybe you will see us back next year.